Is Eugene the Most Weirdest डिज़्नी Prince that आप would have Imagine so ? प्रशंसकों के पसंद: In my Opinion , I don't think he's weird . 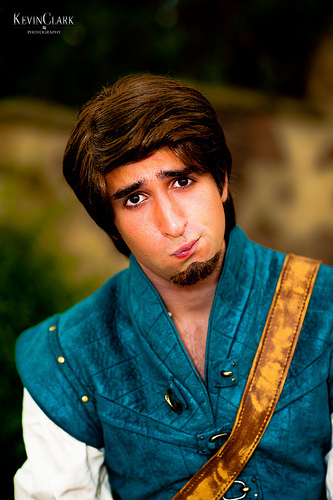 What is your प्रिय Eugene & Rapunzel kiss? What is your प्रिय song that Eugene sings in? What name of Eugene आप prefer? Does anybody know if there are any websites like प्रशंसक sites just for Eugene? Ok I admit it I have a crush on a 2D character and do I care ah No I don’t because he is so gorgeous looking. Here are a few things why I think his hot. #1 The voice: Zachary Levi has such a dreamy voice I could listen to him for days talking. His got a southern type voice. a comment was made to the poll: What is your प्रिय Eugene & Rapunzel kiss? a comment was made to the poll: What is your प्रिय song that Eugene sings in? a comment was made to the poll: What name of Eugene आप prefer? a poll जोड़ा गया था: Is Eugene the Most Weirdest डिज़्नी Prince that आप would have Imagine so ? The official american cosplayer of Disneyland. A man that disguises like Eugene for Halloween. A Kids entertainer that uses to disguise like Eugene. Do आप think that Eugene should be narrtior for टैंगल्ड Ever After?